Big Baby and Rich Austin settled. 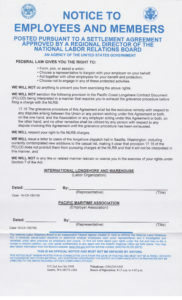 Only Seattle gets a letter from the CLRC. Guess an injury to one is no longer an injury to all. 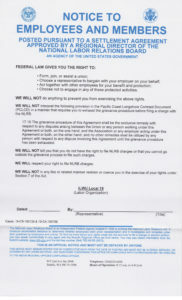 Check out the settlement posting that will be up for 120 days in Seattle. 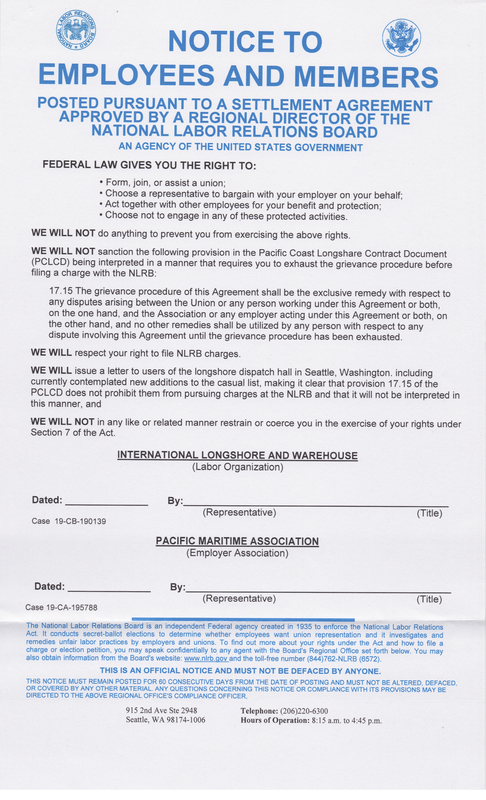 Big Baby agreed to send every longshoreman, including casuals, in the Port of Seattle a letter telling them that Section 17.15 does NOT stop workers from going to the NLRB, before exhausting the grievance procedures of the PCLCD. 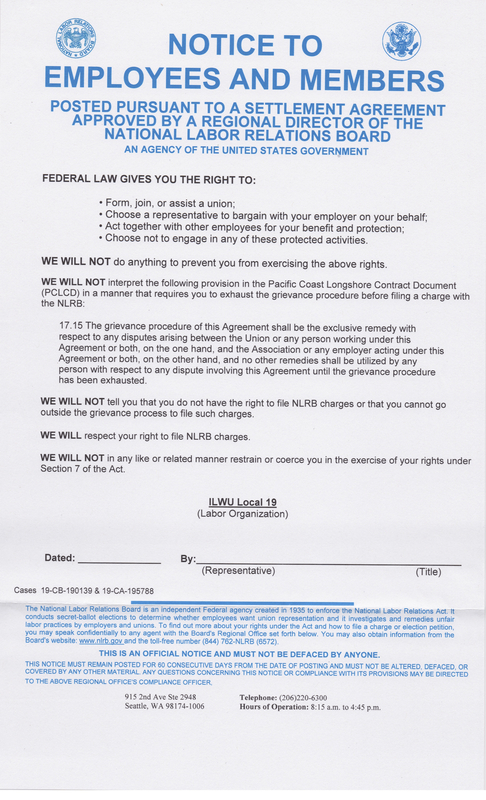 Or for those who prefer PDF; NLRB Case 19-CB-190139 Settlement posting & NLRB Case 19-CB-190139 & 19-CA-195788 Settlement posting. It is official. An injury to one is no longer an injury to all. Ask yourself; if the Union is willing to withhold this information about Secton 17.15, what else are they not telling you? Ask for the JPLRC Minutes and see for yourself.